Last Thursday, August 29, Stromquist hosted a Happy Hour Hangout for a few of our customers in the downtown Atlanta area. 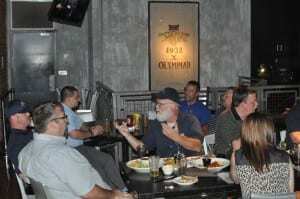 We hung out at Stats, a local sport bar and restaura nt, and enjoyed some appetizers, drinks and time with our customers. It was a very relaxed, casual event, and everyone who came out had a fun time. Not only did it allow us a chance to spend time getting to know some of our customers better, our customers got to connect with each other too. We would like to thank all of you who came by after work to join us. We enjoyed spending the time with you!